Kim Malek filled out a Small Business Association plan in secret. The idea of telling anyone her dream of opening an ice cream shop in cold and rainy Portland, Oregon, just seemed too hard. Now Salt&Straw is an empire with 17 stores across the country, including one at Disneyland, partnerships with companies like Alaska Airlines, and an investment from Danny Meyer and others. On episode 79 of Speaking Broadly, Kim speaks about how she sustained her entrepreneurial spirit despite her father’s bankruptcy, countless rejections from bankers, and persistently looming fears. 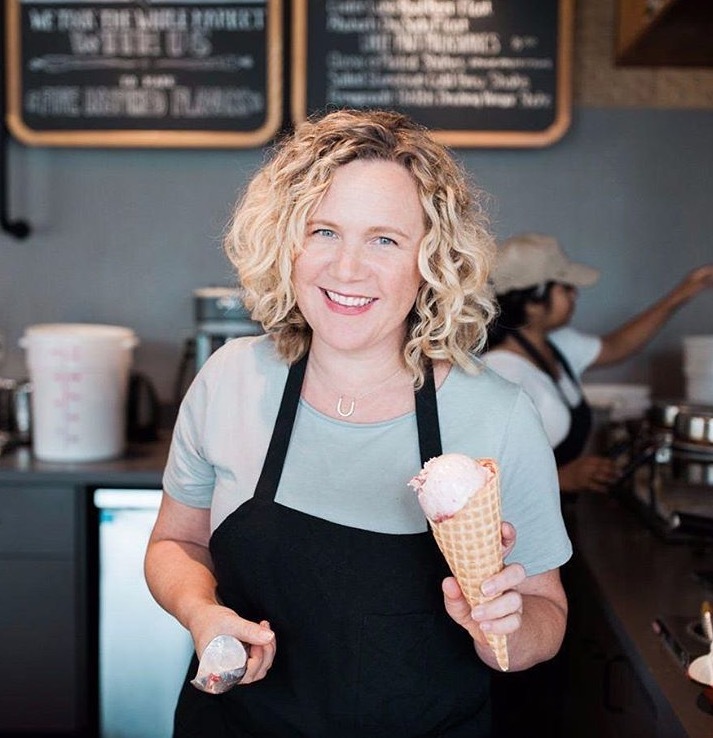 Tune into this episode for more insight into crazy ice cream flavors (bone marrow included), business advice from Starbucks’ former CEO Howard Schultz, and the ingredients that went into fostering Kim’s confidence and persistence. Want to stay up to date on the latest Speaking Broadly episodes? To hear more conversations with Dana Cowin and her accomplished yet accessible guests, subscribe to Speaking Broadly (it’s free!) on iTunes or Stitcher. If you like what you hear, please take a moment to rate + review us on Apple’s podcast store and follow Dana on Instagram @speakingbroadly and @fwscout. Thanks for tuning in! Speaking Broadly is powered by Simplecast.